Today, we’re chatting with Rose Lionesse, a passionate writer/reader/artist. 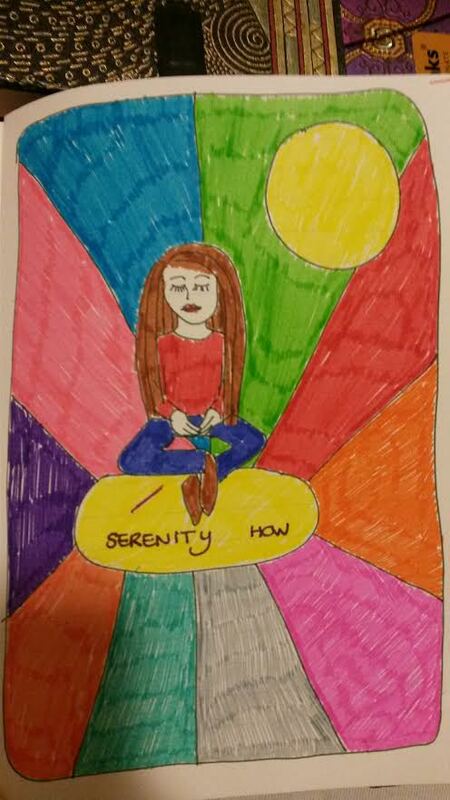 Writing, reading and drawing makes her happy and brings her into a meditative state where she feels she is connected to her inner being and the rest of the universe. She is passionate about everything that has to do with stationery, and you can read more about the notebooks and other stationery she loves on www.enjoyhappystationery.blogspot.nl. 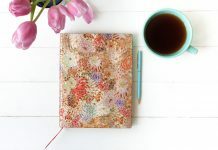 You can also check out the two guest blogging stories she contributed to the Endpaper on the subjects of dream and love journalling. Passions: Writing is my biggest passion. I absolutely love writing in journals and notebooks and never have any problems finding something to write about. 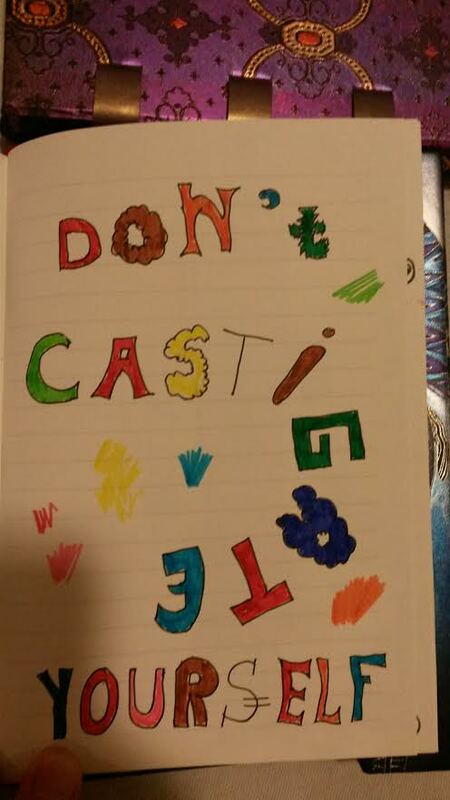 I love writing by hand and I use different colors in my journals. 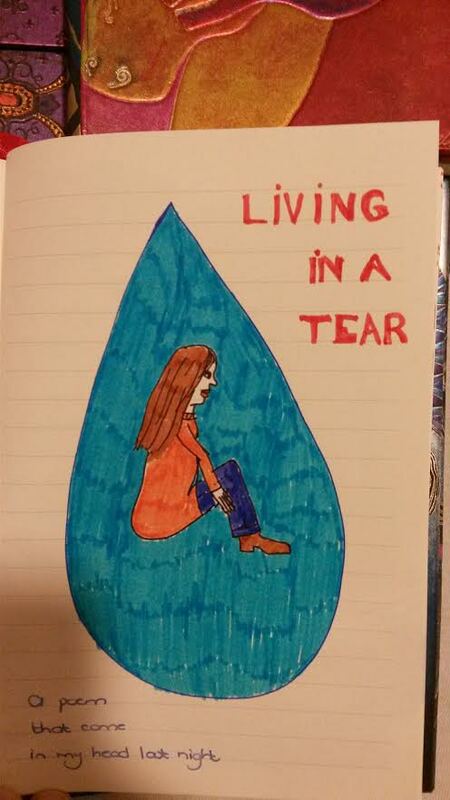 I have journals in which I write my day-to-day worries, situations, crazy thoughts, ailments and everything else. I also have notebooks for my projects, notebooks for studying (I make summaries of each book I read, sometimes only a quote from the book or a paragraph), notebooks for poetry, notebooks for things to explore, travel journals, a lists journal, an art journal, a love journal and dream journals. 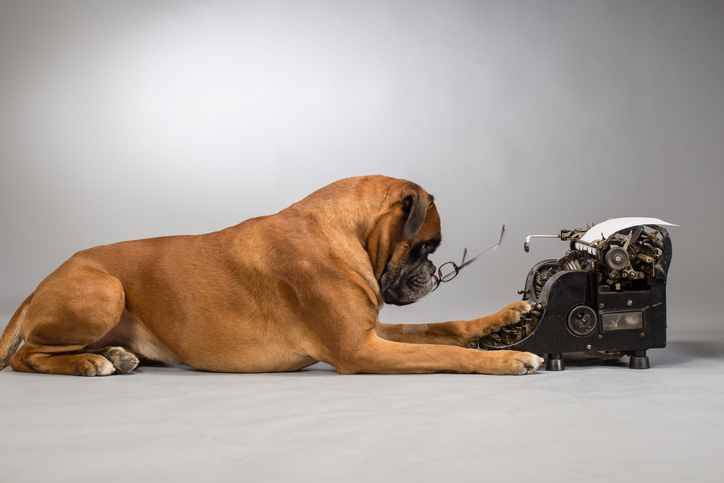 I write short stories, poetry, letters and I even wrote a novel – it was actually not literary, I admit, even though I tried to write the next great novel ;-). I also love books. I have many, many favorite authors and here is a small selection from this moment: Isabel Allende, Plato, Aristotle, Rumi, Hafez, Danny Kock, Henry Miller, Nikolai Gogol, Stephen King, Gregg Braden, Carl Sagan. My other passion is drawing/creating – sketches, sketchnotes, logos, watercolor painting, oil painting or just doodling with colors. 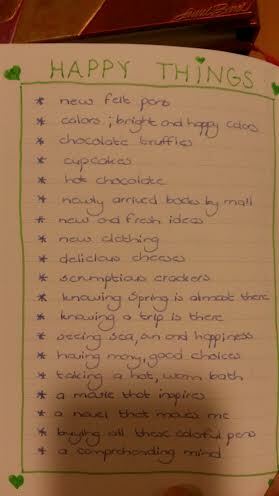 2) Could you tell us more about your journal writing? Writing in my journals is not only my passion, it is also a wonderful way for me to relax. When I write in my journals, I feel I am in a kind of meditative state and view the world from a different perspective. In such a state, I also feel very connected with my inner being and the rest of the universe. 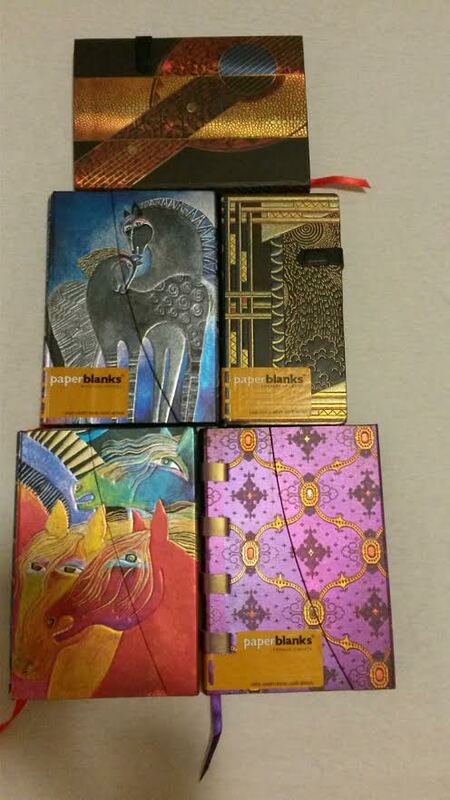 I have hoarded many journals over the years and the brand that I have the most of is Paperblanks®. I cannot remember when I first saw a Paperblanks® journal but I remember that when I saw it, I was immediately mesmerized. The thick cover with the shiny colors and design did not let me go. My first one was from the Laurel Burch Collection (Mystical Horses) and I could not stop looking at it. What I like about the paper of Paperblanks® is that it has an elegant color, a kind of cream that gives it a solemn perspective. In addition, the paper is thick enough for watercolors. I used Paperblanks® just for writing but, for some reason, one day I decided to do my sketches in it as well, with felt tip pens, watercolors and aquarel pencils. 3) What inspires you as a writer and artist? Despite the fact that I don’t have problems knowing what to write about in my journals, I do need inspiration. I have written since I was really young and have not stopped since. Even if you don’t know what to write, there is something to complain or wonder about – questions or even writing down your boredom. But inspiration is important to me. 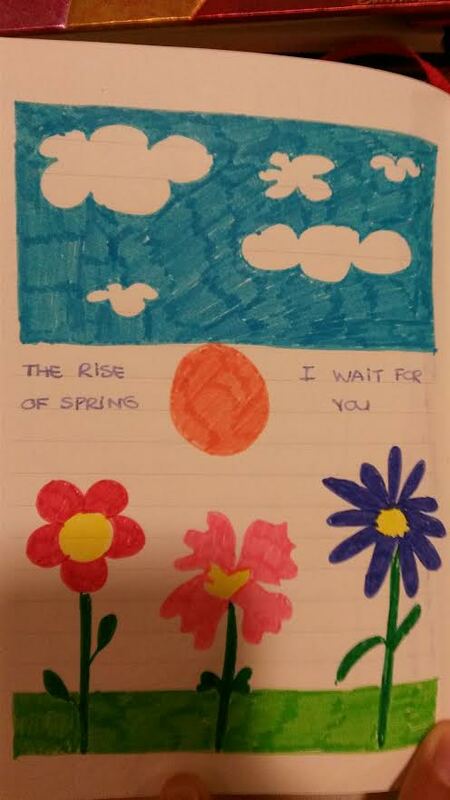 I notice that my writing is so much better when inspired. I took a writing class a few years ago and my writing teacher noticed that certain parts were of a good quality. Those were the parts I had written when I was inspired. Yet inspiration is difficult to gather, I believe. Picasso said: “The muse has to catch you working.” I derive inspiration from certain images – often landscapes and especially nature – but I also derive inspiration from a good conversation, an interesting taste from a new food, art, travelling, a nice dress, colors, stationery and looking at other people’s journals and notebooks. Also, I catch myself looking at websites such as Paperblanks® for inspiration. I write articles about stationery and that is also something that inspires me. I see stationery as tools for development and creativity. Pens, paper, notebooks and journals are all items that you can hold in your hand and that will serve you for whatever creative purpose. There are so many different people with different professions who all tell me how their creativity and idea generation benefitted from pens and paper. That fascinates me. As long as I can remember, I have been crazy for stationery. I may not be an established writer or famous artist but that does not keep me from doing what I love most. There is so much joy in watching the creative process unfold under your fingers and surprising yourself. My reward lies in the making of my art and the process of writing. There is nothing else that gives me so much joy. 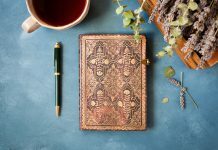 When one of my articles was published on the Paperblanks® blog, I was excited. 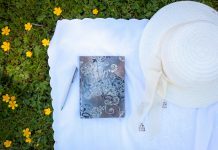 I could only hope that my article about dream journalling would inspire others. 4) Has anyone inspired you to write? I read a book when I was about 8 years old and the book was in a diary form. The main character was an adventurous, young girl who wanted to see something of the world and be more of an adult. 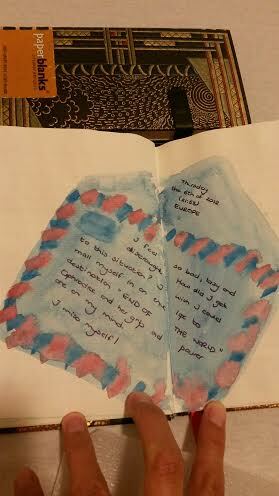 The book had such an impact on me that I wanted to be that girl and I started keeping a diary/journal. I remember she called her diary “Renee,” and that is what I called my journal as well. 5) What is your advice for aspiring writers and artists? Listen to your own voice. There are so many people out there who want to give advice to you and you should distinguish the ones who want to provide genuine advice from the ones who are just criticizing. You have a unique voice and that voice should not be diluted, it should be totally you. Let that voice lead you and you will go to nice places. Each of us is unique in its own, you can with write and I find with drawing inner peace, is not that wonderful? It really is wonderful 🙂 So glad that Rose’s post has inspired you!